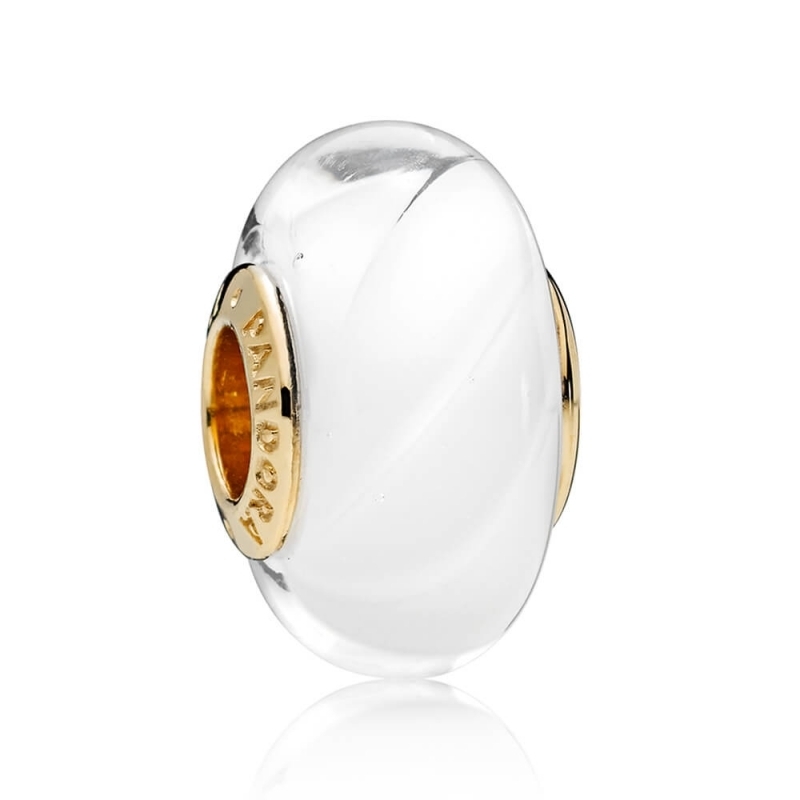 PANDORA White Waves Glass Murano Charm. Made from authentic Italian murano glass, this dreamy white charm is offset with a core of 18ct gold-plated sterling silver. Complete with transparent wave detailing, it's sure to bring peace and serenity to it's wearer.